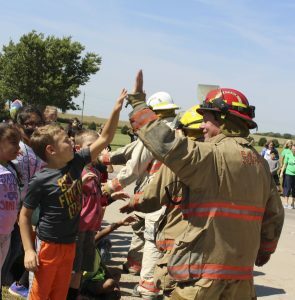 Storm Lake Schools Tuesday honored all Emergency Responders with a Hero Parade. 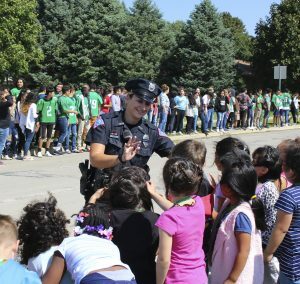 Students lined the block to cheer and high-five emergency representatives from the police, sheriff, fire, hospital and National Guard. 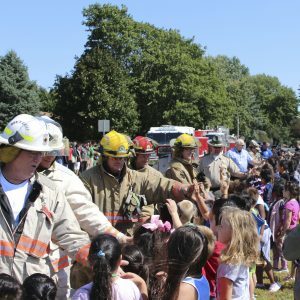 Students wanted to show their love for those that risk their lives every day in honor of 911. 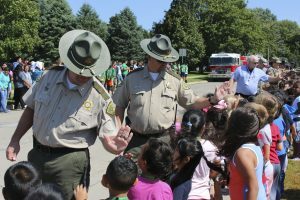 Photos from Buena Vista Regional Medical Center, Storm Lake.